It should not be a surprise that I am a huge fan of educational technology. When I had a classroom of my own, I encouraged my students to utilize computers. These days not only do we have computers, but we have iPads with a wide variety of apps for children of all ages. 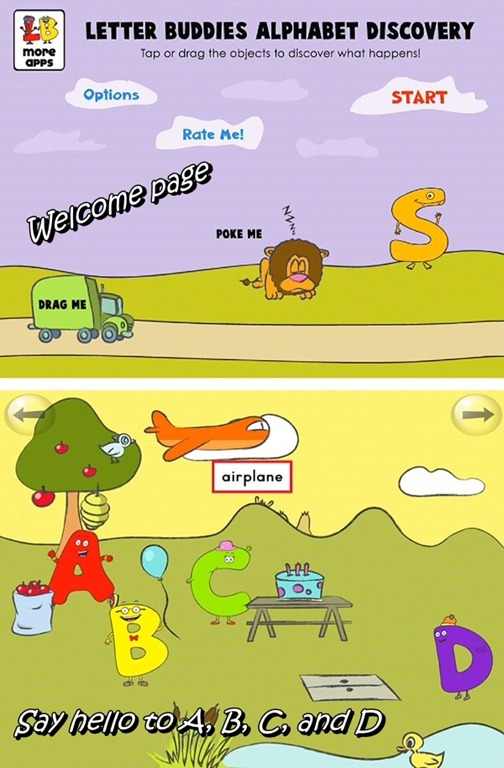 In the past, I reviewed an app from Cavallo Media called Letter Buddies Alpha Books. 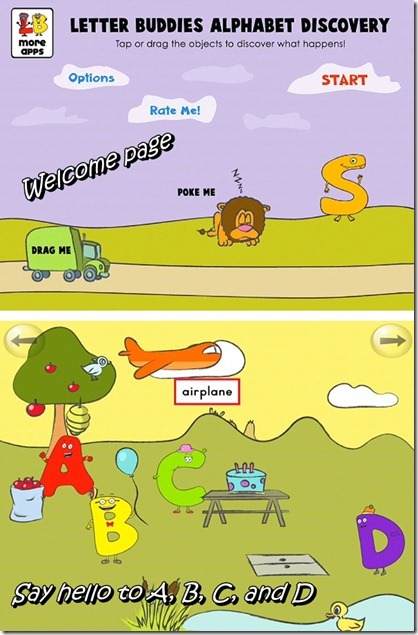 JSL was really young and we used the app to help him with speech therapy. It was a wonderful tool and I was instantly a fan of their educational resources. As time went by, they started to spend more time creating apps for the iPad, along with book and other items to go along with the Letter Buddies. When they heard that we had an iPad, we were asked to check out their Letter Buddies Alphabet Discovery app. Letter Buddies Alphabet Discovery for the iPad is now available on iTunes for $2.99. JSL helped me to explore the new app after we entered the review code. He immediately recognized the Letter Buddies from the past and wanted to take control of the iPad. JSL is five years old and in kindergarten. Within a few short weeks, he was a bit beyond the target group for this app. Still, he had fun meeting the letters, listening to the songs, finding animations, and checking out what each letter would reveal. He immediately said he thought that his little cousin (almost three) would probably love this app and I bet he is right. As a parent and teacher, I really appreciate the attention to educational details that Cavallo Media place in their work. Letter Buddies Alphabet Discoveries is a great way for young children to get to meet the letters of the alphabet in a non-threatening way. They become friends and are cute characters that welcome you into their world. Pushing on the iPad to launch a hidden animation and words create way to introduce new vocabulary and letter/sound recognition (hello phonemic awareness). The pages with each group of letters are not cluttered and are easy for little fingers to explore. I would recommend this to others looking for an interactive early literacy application for the preschool set just starting to explore their alphabet and corresponding sounds. Disclosure: Cavallo Media supplied me with a complimentary code for my honest review. No other compensation was given and all opinions are 100% mine.